Page last updated on: Friday, 13 July, 2016. 01. 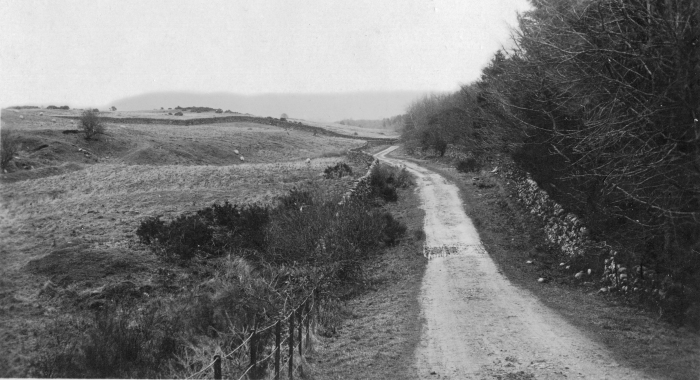 Looking from Gatehouse Hill over Laurieston Road. The house is Barwhill. No tennis court or golf course. 02. 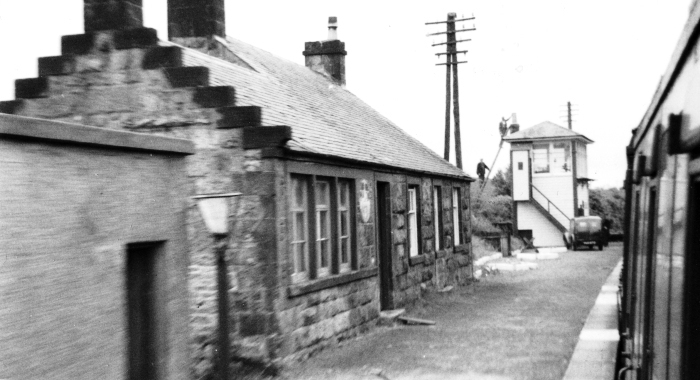 The Barlay properties on Laurieston Road : Barlay Mill, Miln of Barlay, Barlay Cottage. 03. 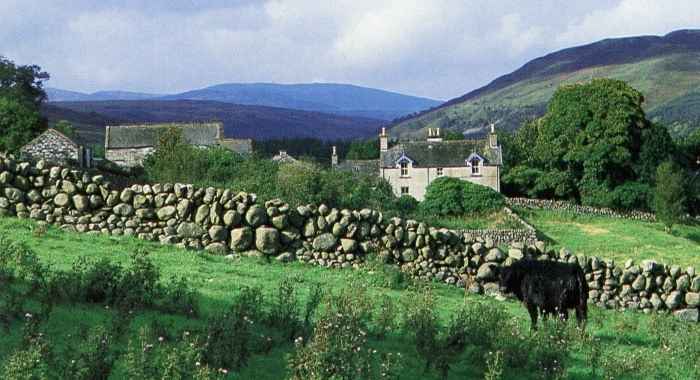 Barlay Mill and Miln of Barlay. 04. 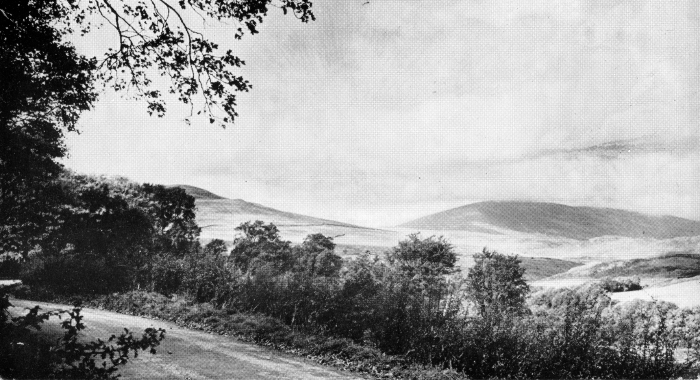 Looking towards Cairnsmore of Fleet. 06. 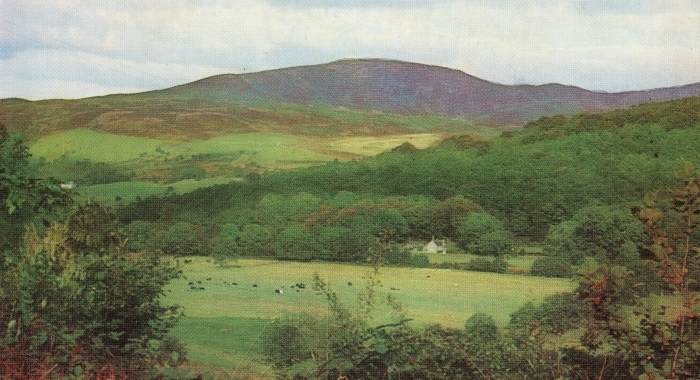 The conical hill on the right is Castramont Hill. 07. 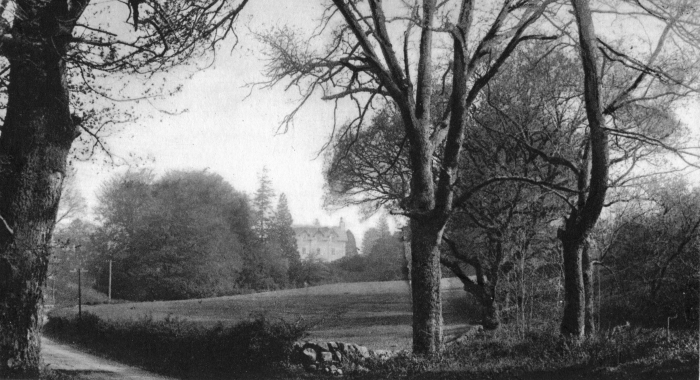 The property at the centre of this picture is the old Girthon Parish School. 08. Waterworks Bridge, also known as Loch Lea Bridge. 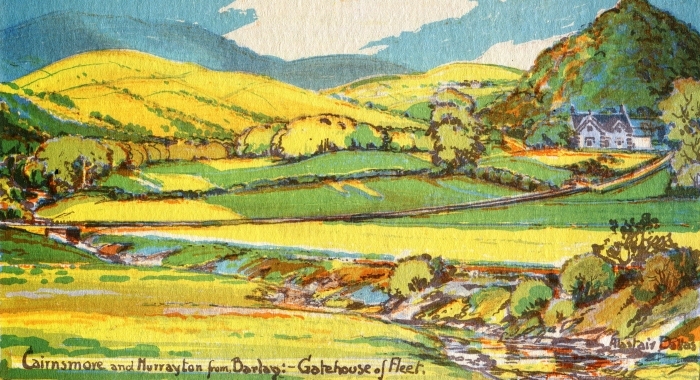 15. from a painting by Alastair Dallas. 24. 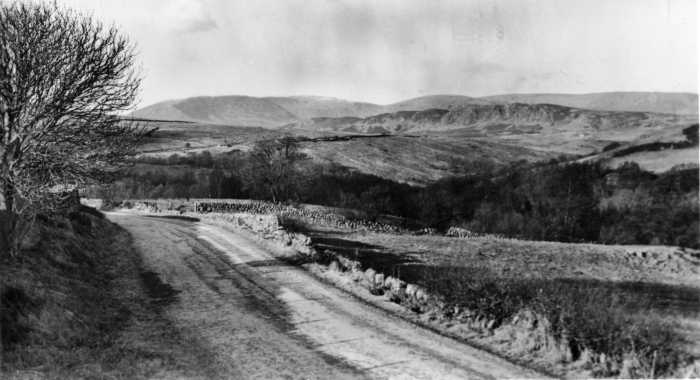 Aikeyhill & Culreoch from station road. 25.1 We are not sure where this is on the Cally Estate. Any suggestions ? The following railway pictures are from photographs, not postcards. 31. 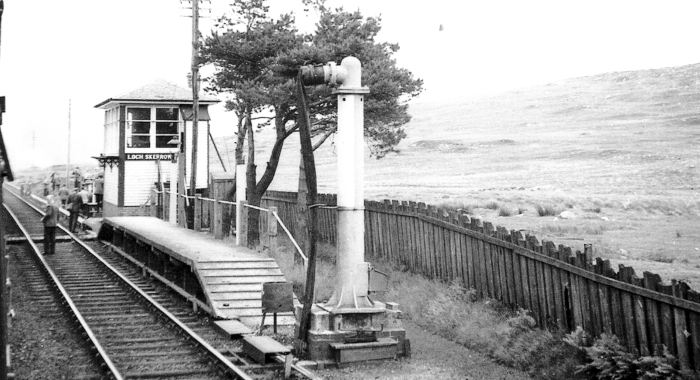 Gatehouse of Fleet Station. 32. 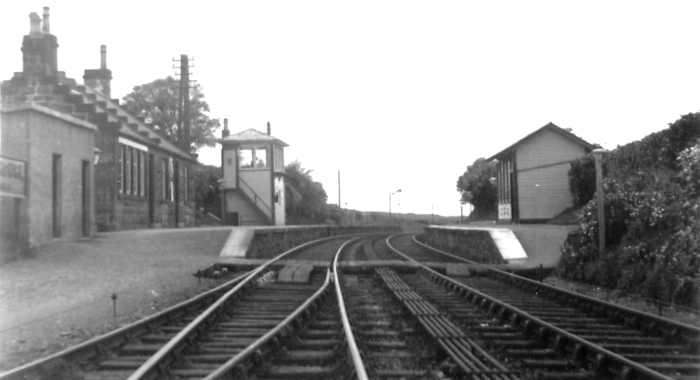 Gatehouse of Fleet Station. 33. 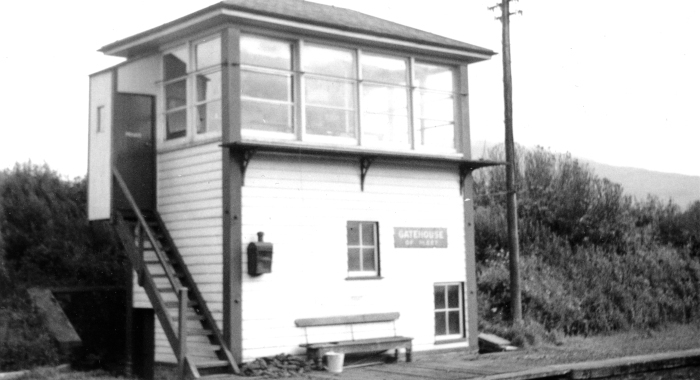 Gatehouse of Fleet signal box. 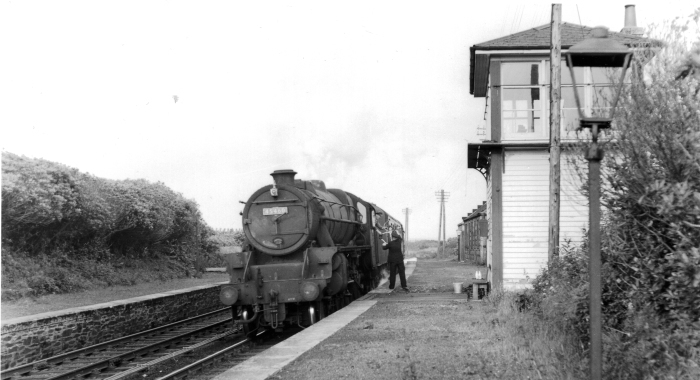 For railway enthusiats we now provide links to u-tube videos of trains travellng in SW Scotland. Remember to use your back button from the remote website so that you come back here. This video shows the route as seen by the engine driver as he progresses from Dumfries to Kirkcudbright. Double-click the picture to get full screen video. 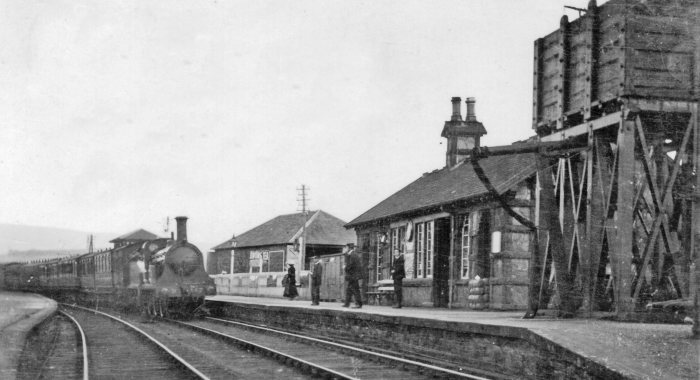 This video runs between Castle Douglas and Stranraer. Double-click the picture to get full screen video. This video runs from Dumfries to Stranraer, via Gatehouse and is speeded up without commentary to take just 5 minutes.